The Parker Knoll Edward Chair has a classic round arm design and also a beautifully buttoned inside back. Available in both fabric and leather as welll as different wood shades. The inside back is curved and has a slightly fuller area at the base to create a slight lumbar cushion. Free delivery across mainland England and Wales from our own highly trained and professional staff. 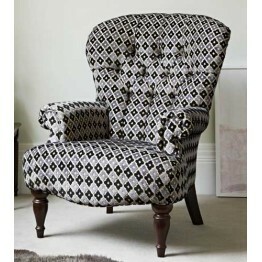 The Parker Knoll Edward Armchair can be used in many areas of the home, it is very comfortable and u..